“French socialists have forged a doctrine on sending armed troops abroad. In a 2000 report, François Lamy, a Socialist MP from Essone, pointed to the example of other major democracies to call for a change to the constitution. He proposed it stipulate that ‘the use of French forces outside national territory be subject to parliamentary consultation beforehand’. “Nearly six in 10 oppose missile strikes in light of the U.S. government’s determination that Syria used chemical weapons against its own people. Democrats and Republicans alike oppose strikes by double digit margins, and there is deep opposition among every political and demographic group in the survey. Political independents are among the most clearly opposed, with 66 percent saying they are against military action. “Such a step would be a dramatic shift for an administration that has declined to label Egyptian President Mohamed Morsi’s July 3 ouster a coup and has argued that it is in U.S. national security interests to keep the aid flowing. It would also likely have profound implications for decades of close U.S.-Egyptian ties that have served as a bulwark of security and stability in the Middle East. “Sweden is the first country in the EU to offer permanent residency to refugees from Syria, news agency TT reported. The decision covers all asylum seekers from Syria who have been granted temporary residency in Sweden for humanitarian protection. The decision means that the roughly 8,000 Syrians who have temporary residency in Sweden will now be able to stay in the country permanently. “During 2012, the Netherlands finished the total destruction of its once-massive stockpile of cluster munitions and together with Denmark, France, Germany, Italy, the United Kingdom, and others, destroyed a total of 173,973 cluster munitions and 27 million submunitions—the most in a year since the convention’s adoption and far exceeding 2011 totals, when states destroyed a total of 107,000 cluster munitions and 17.6 million submunitions. “With just under a month to decide whether or not they’ll appeal a federal court dismissal of their Canada-China Foreign Investment Protection Agreement (FIPA) duty-to-consult legal challenge, the Hupacasath First Nation find themselves having to consider the possibility of a hefty cost award. A government spokesperson told iPolitics that they’ve yet to determine their legal costs, but the Hupacasath have come up with their own rough estimates for what the government has spent defending the challenge. ‘They had five lawyers in the courtroom, compared to our two,’ said Brenda Sayers, an elected Hupacasath councillor. “ ‘States are required to take effective measures to review governmental, national and local policies, and to amend, rescind or nullify any laws and regulations which have the effect of creating or perpetuating racial discrimination wherever it exists,’ said the Special Rapporteur on racism, Mutuma Ruteere. Oxfam has released a new report that shows countries under arms embargoes have imported over $2.2 billion in weapons and ammunition since 2000. Human Rights Watch commends Uruguay for becoming the first country to ratify the international Domestic Workers Convention. “The treaty, which extends core labor rights to an estimated 50 to 100 million domestic workers, will come into legal force when it is ratified by two countries. CBC reports that a former executive with Canadian engineering giant SNC-Lavalin has been accused of using shell companies to pay the Gadhafi family more than $300 million. “CBC has no proof of the substance of the allegations contained in the “poison pen” email, nor any evidence it relates in any way to the allegations [Riadh] Ben Aissa now faces in Switzerland. Ben Aissa is also the executive who hired Cyndy Vanier, the Canadian consultant who is sitting in a Mexican jail. She is accused of plotting to smuggle Saadi Gadhafi — who had a long history of directing billions of dollars in construction projects to Ben Aissa – out of Libya last fall. Inter Press Service reports on opposition to a new agreement between the US and the Philippines on increased military cooperation. 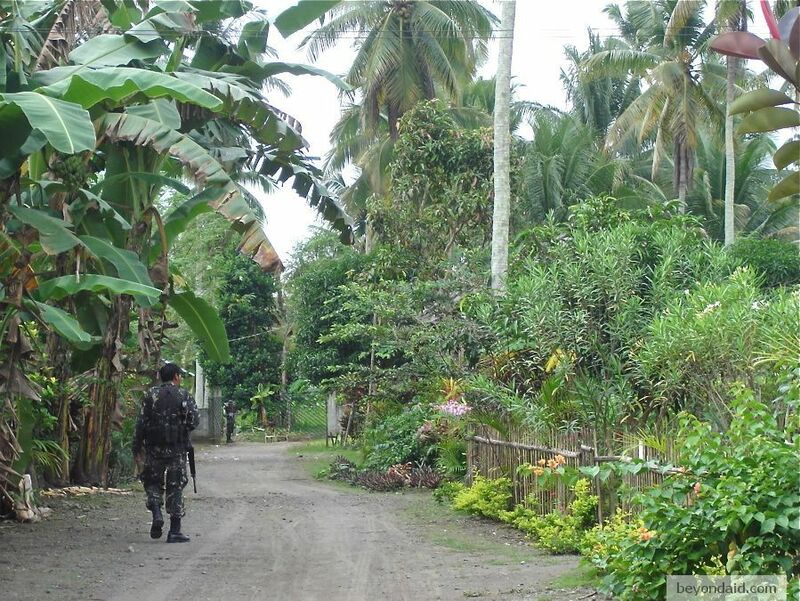 “ ‘It is terribly discouraging that the Philippine government cannot figure out a truly healthy relationship with the U.S. – that is, a relationship that allows the Philippines to forge meaningful relationships with America as well as with its neighbours, including China,’ Gina Apostol, the author of a novel on the Philippine elite’s relationship with the U.S. military, told IPS. 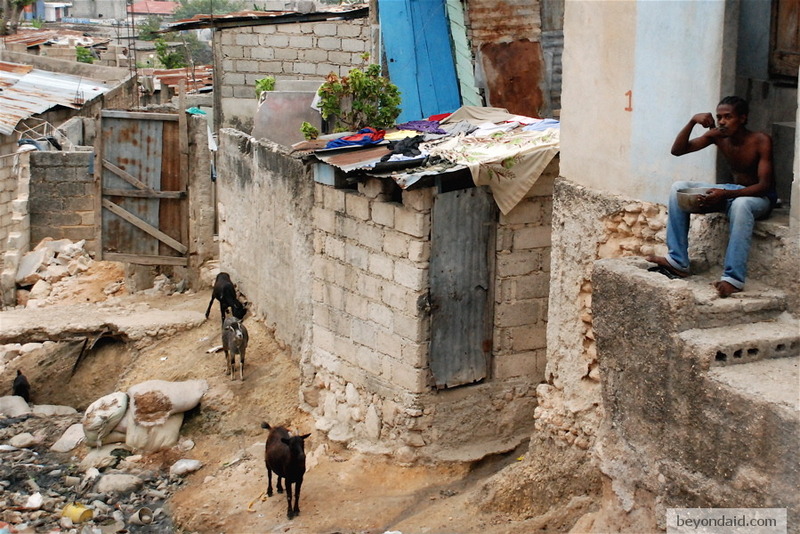 The Center for Global Development’s Vijaya Ramachandran and Julie Walz discuss the recently published independent assessment of the US government’s response to Haiti’s 2010 earthquake. Earl Turcotte, who led the Canadian delegation during the negotiation of the Convention on Cluster Munitions, says his country’s proposed legislation concerning the banned weapons is “the worst of any country” that has ratified the treaty. “The Harper government is seeking exceptions that, among other things, will allow a Canadian commander of a multinational force to authorize or order forces outside the convention to use, acquire, possess, import or export cluster munitions. As well, Canadian pilots or artillery personnel can use, acquire, possess or move cluster munitions while on secondment or attachment to outside states. Canadian Forces can also transport non-party state cluster munitions on Canadian carriers. Author Homero Aridjis writes that he was not surprised to hear that Wal-Mart was accused of paying $24 million worth of bribes in Mexico, given the histories of the company and his country. The University of Virginia’s Brandon Garrett argues that the growing number of companies being prosecuted under the Foreign Corrupt Practices Act does not necessarily mean that corporate accountability is thriving in America. The UN News Centre reports three top officials have issued a statement calling on member states not to adopt a protocol they say would weaken the current ban on cluster munitions. “‘The protocol that is being discussed will lower the standard set by the [Convention on Cluster Munitions] and fail to address the well-documented humanitarian and development threats posed by cluster munitions,’ [UN Emergency Relief Coordinator Valerie Amos, UN Development Programme Administrator Helen Clark and UN High Commissioner for Human Rights Navi Pillay] stated. Tree Huging Hoolah provides a “round-up” of weapons and ammunition allegedly being used against protesters in Cairo’s Tahrir Square. Al Jazeera asks how dangerous the so-called non-lethal weapons being used against protesters around the world really are. “With over 36 killed in Egypt since November 19, and medical sources citing ‘suffocation after inhaling tear gas’ as the cause of many of the deaths, the non-lethality of the weapons employed – as well as how they were imported – has come under serious question. Khalid Abdala, an Egyptian actor and activist, told Al Jazeera from Tahrir that he held international governments ‘complicit in everything that is happening here’. A new makeITfair report calls on the European Union to ensure revisions to its legislation on e-waste put an end to the export of such hazardous materials to poor countries. The Guardian reports global food and drink companies are increasingly targeting the world’s poor whom they view as the primary “vehicle for growth” for processed products that increase the risk of diabetes and heart disease. Embassy Magazine reports an environmental assessment of a possible Canada-India free trade agreement will not examine Canadian exports of asbestos to the South Asian giant. Global Witness’s Anthea Lawson argues banks in wealthy countries must stop playing an integral part in the corruption that is devastating poor countries. “Three entrenched, repressive and corrupt regimes fell this year largely because the people they ruled were fed up with epic levels of corruption. York University economist Fred Lazar suggests many governments could make their perceived financial difficulties disappear simply by reporting their finances in the same way as corporations currently do. “For example, many government expenditures are investments – capital expenditures. Expenditures on infrastructure clearly are in this category. Some of the expenditures on training, healthcare, education, R&D (e.g. NASA and the Departments of Defense and Energy in the US), and the judiciary also should be classified as investments, for all of them contribute to enhancing the productive capacity of the economy.